From world class restaurants to beach bars, here's your guide for the exploring culinary treasures. "Anguilla is really the unexpected gem of the Caribbean. The 33 white-sand beaches and crystal clear water attract the visitors, but it’s the warm hospitality, casually chic vibe, and culinary delights that make people fall in love with this island. For a small destination, Anguilla offers a great mix of local, casual and fine-dining options for foodies." "For culinary tourists, what makes Anguilla a great vacation destination is the amount of great restaurants to choose from and we have great local fish." "After dropping my kids off at school, I like to come here for breakfast. They have a great menu and the prices can’t be beat." "I love the atmosphere and the pastries are delicious." "They make a strong espresso and you can sit outside." "Order the Turkey Hash with a fried egg." "Ask for a tour. They’ve done a great job and it really is an impressive set-up." "This shop is always a fun stop for buying locally-made souvenirs." "This is also a good spot. They have great service and an impressive selection. Ask for Nathalie and tell her I sent you." "This is 'the' spot for lunch. There are only three things to eat: BBQ ribs, chicken and snapper. And they are all good. Their drinks are well-made too. Ask for Garvey, he makes the place great. However, the best part of Sunshine’s is that the beach chairs are just three feet from the water and face neighboring St. Maarten. You can sit here all day." "Guests literally eat in someone’s front yard." "The chicken and the ribs combo is my favorite." "Visit the chicken guy here for lunch and his johnnycakes." An outdoor snack shack with frozen yogurt, lobster rolls, spicy Jerk chicken sandwich, tacos, all-natural burgers, rum punch and frozen drinks. "Great for an afternoon snack." "Come to this Island Harbour beach bar for a snack." "I love taking my daughter to get ice cream sandwiches here after school." "The Sunset Lounge is hands down is the best spot on the island to watch the sunset. It’s a great setting that invites guests to relax for an afternoon and stay into the evening. Without doubt, this is the place to be before or after dinner. It’s just…wow!" "Come here for Caribbean food and definitely order the Conch Creole." "I love lamb shank by chef Vernon Hughes at E's Oven." "For classic, I love Jacala for the service, food (steak tartare, fresh fish) and St. James Rum. They also have crayfish." "Crayfish is a must when in Anguilla. It’s usually just grilled and served with butter and lemon – very simple, but they have great flavor. This is one of the restaurants where you can find it." "I order the stewed snapper. It is a whole red snapper, cooked perfectly with rice and peas." "Cobà is our fine-dining venue at the Viceroy Anguilla. Situated on a cliff overlooking the Caribbean Sea with floor to ceiling windows, the restaurant is the perfect setting for a romantic night out for a dinner with friends. The menu features more than eight grilled meats and five grilled fish dishes, plus a variety of other plated dishes. I recommend the local snapper, crayfish, spiny lobster and mahi mahi." "For modern dining. From the décor to food, the whole experience is great." "They just opened and it has an overall good menu and atmosphere." "Come here for a casual dinner." "They have killer Mexican food and Margaritas. Their house-made hot sauce is a must try." "I come here for the dumplings." The Strip is where you'll find a collection of food shacks that line the Valley Street across from The People's Market. "Try The Strip on The Valley where you can usually find about 10 food trucks. 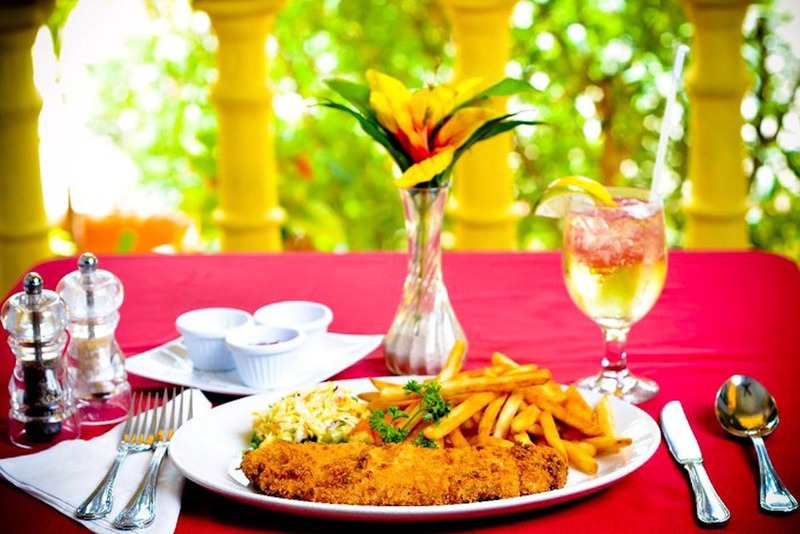 Food is authentic and plenty of selections, plus there are always plenty of rum drinks and beer." "I like Elvis for a great all around Caribbean experience." For $10, you can take a sea shuttle to Sandy Island. It takes just five minutes and leaves from the pier in front of Johnno’s Beach Bar at Sandy Ground. This small island has its own restaurant/bar and lots of snorkeling. "At Sandy Island, I don’t think it gets much better than eating their fresh grilled crayfish with your feet in the sand." 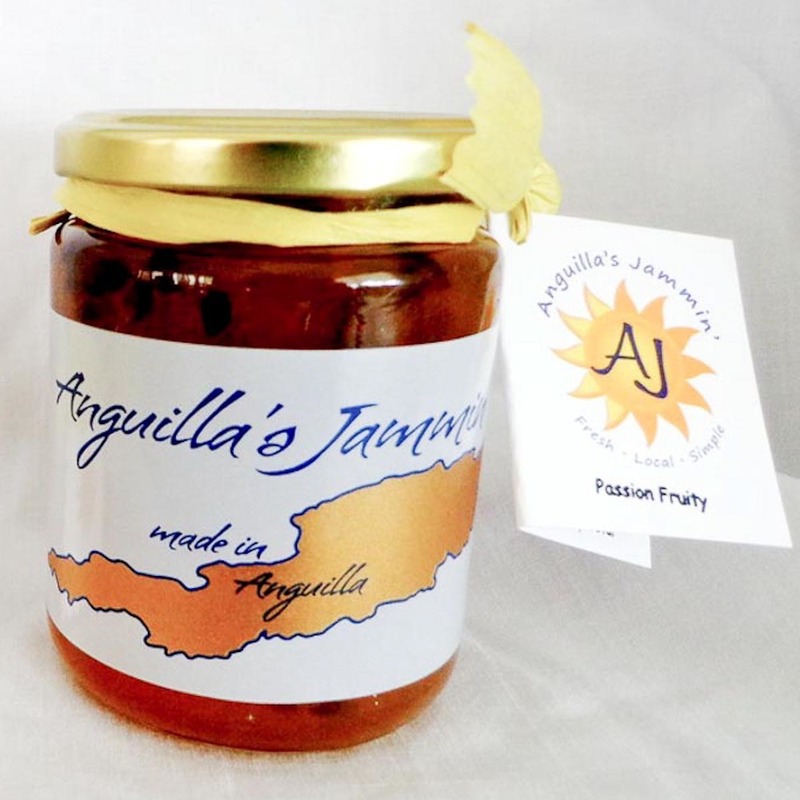 Chef Rafael Gonzalez loves their jams, "The flavors are great and the packing is fun too. Try the mango or chili, but the passion fruit is my favorite because it’s a great addition to a rum punch." One hundred percent natural sea salt made from the ocean, not a pond. It is sourced and created in Island Harbour. Stop by their shop which is a West Indian-style cottage. Bob and Melinda Blanchard share their story about escaping civilization to open a restaurant on the Caribbean island of Anguilla in their books. This second book features a collection of more than 160 of their recipes. CAR RENTALS | Island Car Rentals. BOAT CHARTER | Calypso Charters. Executive Chef of the CuisinArt Golf and Spa Resort in Anguilla where he cooks with herbs and produce from the property’s half-acre hydroponic garden. Previously, he was the executive sous-chef at the La Quinta Resort in California and A Pacific Caf in Kauai, and executive chef of Hudson Hall in New York. Executive Chef of the Four Seasons Anguilla and former executive chef of the Viceroy Anguilla Resort. The Miami-born chef trained in New York City with David Bouley at Bouley Bakery; Chef Eric Ripert at Le Bernardin; and Chef Jean George Vongerichten at Jean George Restaurant. He was the Restaurant Chef at the Pierre New York and later the Four Seasons in Vancouver. Pastry chef and owner of Geraud’s Patisserie on Anguilla. Originally from Auvergne, France, he trained with Chef Michel Rostang in Paris. He also worked in Miami at L’entrecote, in Saudia Arabia for Leyalty, in Buenos Aires for Intercontinental Hotels, and in Lisbon for the Four Seasons Hotel. He was also a Cordon Blue teacher in Ottawa, Canada.